The block for purchase starts off as a brand new item from Holden. It is then inserted with a CNC machined plate to close the top deck. 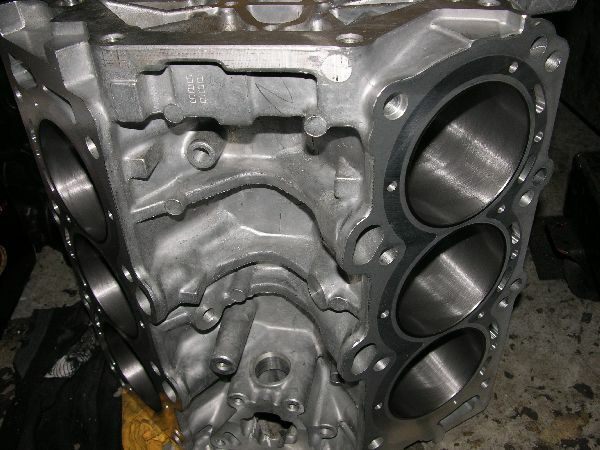 This adds a lot more block integrity for applications where high RPM is used and greater horsepower. Oil system is modified for higher flow to bearings. It is also drilled and tapped to accept larger studs which once again is added security for high HP and RPM etc etc. Cylinders are bored to customers specs. We can also supply individual components i.e rods, pistons, cranks, stroker kits as well as complete ready to bolt in engines. Please enquire for more detailed info for your specific application.